I am a postgraduate in Economics with over 15yrs of teaching experience and 10yrs of work experience in applying advance analytics to provide solutions to complex business problems. My motive is to build the strong fundamentals in students and give practical exposure to students through various case studies and short project from various industry where predictive analytics is used. 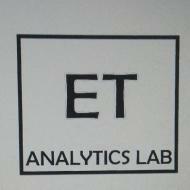 EduTech Analytics Lab conducts classes in Advanced Statistics, Business Analytics Training and Risk Management. It is located in Kasarvadavali, Thane. It takes Regular Classes- at the Institute and Online Classes- via online medium.